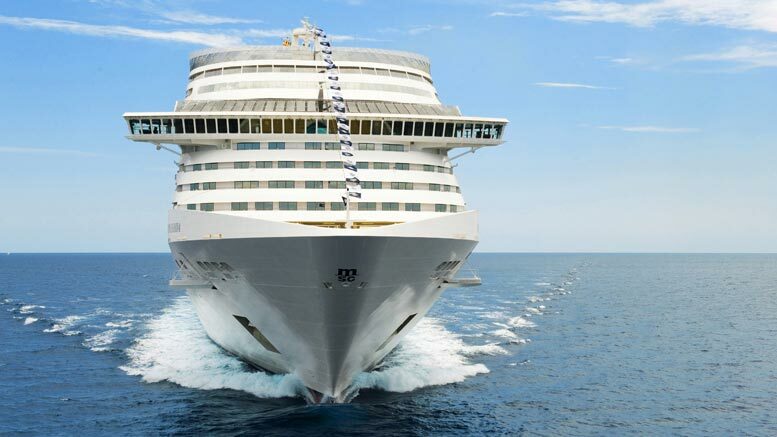 For the first time in the history of the company, MSC Cruises, the family-owned Mediterranean cruise line, is launching its Summer 2015 and Winter 2015/2016 brochure together. With the promise of two new ships on the horizon, a new pricing structure, a ‘Renaissance Programme’ for the Lirica class ships this is a very important and exciting time for the cruise line. To celebrate the launch of the new brochure, MSC Cruises are offering incentives for those guests who book early. Exclusively during the launch period (April 2nd-June 30th), the earliest bookers will be able to take advantage of a complimentary Experience upgrade from Bella to Fantastica and, in addition, can save from £200pp off the brochure price. To coincide with the 2015 launch, MSC Cruises, the Mediterranean specialists, are dedicating chartered flights to both the Eastern and Western Mediterranean, ensuring that UK passengers have access to this diverse area and all its cultural delights. The building of the new two ships (to be launched in 2017 and 2019) will further reinforce the #MedWayofLife and reflect the long-term vision of the Mediterranean specialists as the ships will be wider rather than longer to ensure access to all the Mediterranean ports.